Heroin, hydrocodone, OxyContin, morphine, fentanyl. “Everyone keeps talking about awareness. 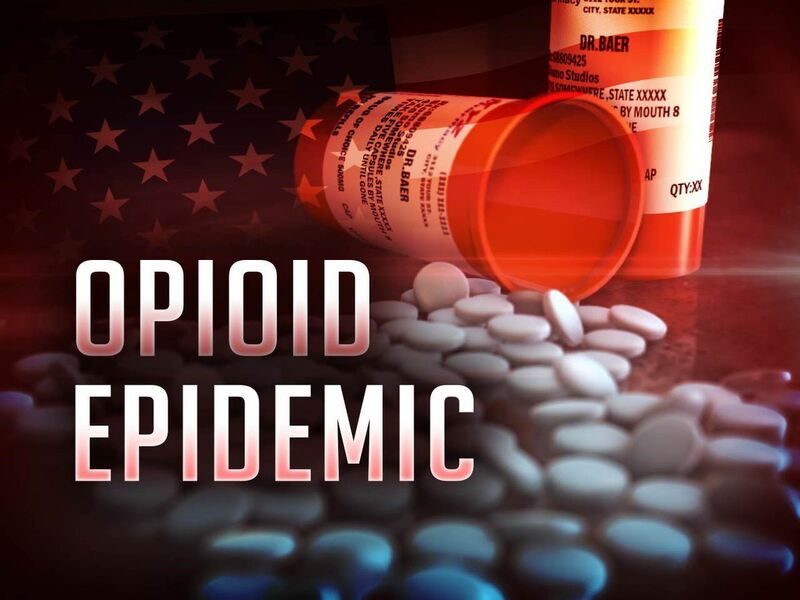 We’re aware there is an opiate epidemic,” Jessica Hall, Director of Judicial Programs at The McShin Foundation, an addiction and recovery program in Henricho County, Virginia, told AOL News in July. There are more women in Henricho County’s jail than there have ever been. “Where’s recovery at in this?” Hall asked. 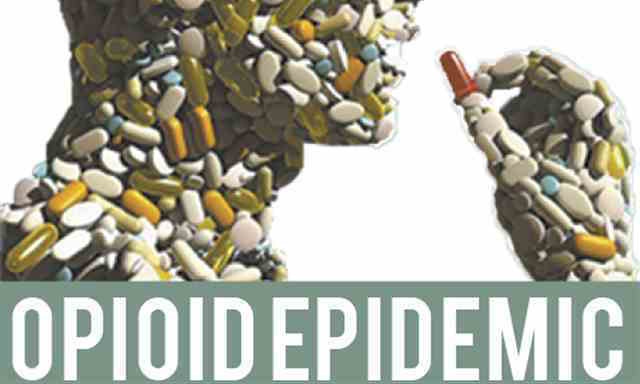 Yes, we’re aware of the opioid epidemic. It’s been hard to miss in the media—or our personal lives—for the past decade. But there’s a kind of conundrum effect to our current reactions to the opioid crisis. 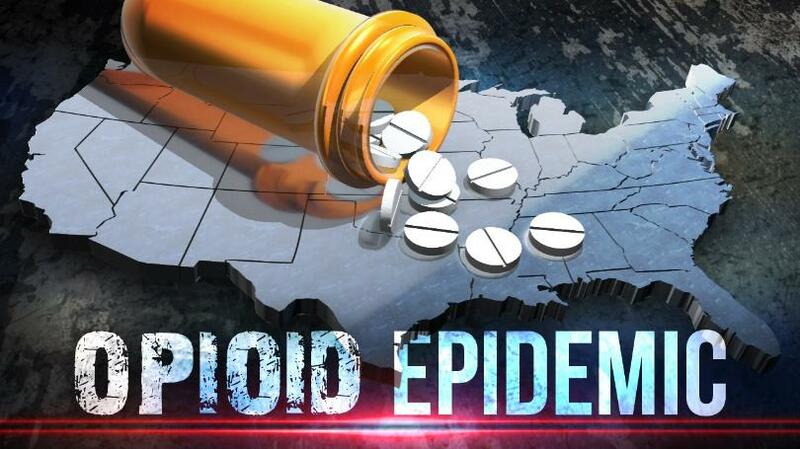 Wade into studies and articles about the unprecedented rate of opioid overdoses in the country and you’re likely to come away confused about how drug epidemics happen and about how to stop what is killing so many right now across the nation. Trump stated on August 10 that he would address opioid addiction, but waited until the end of October to take any action. Trumps declaration of a public health emergency, rather than a national emergency, prevents the necessary funding and resources—trained people on the ground—from being committed to the epidemic. What is clear from endless reporting is the horrifying starkness of the numbers. If nothing is done, half a million more people will die over the next decade. Morgues in Ohio are full. So are prisons in Virginia. Scores of people are dying of opioid withdrawal in jail. Distraught parents are using their children’s obituaries to speak out about opioid use. Children are flooding foster homes. When we do bother to address this moral crisis, we address it as a problem of national purity. I have written before about how our country uses laws regulating sexual purity to express anxieties about the condition of our nation-state, conflating them into stories we tell ourselves about national purity. To preserve the nation, we must be “pure” in all respects. It is especially important to mind the ways in which ideas about national purity carry a particular racially charged weight when applied to public health. Health care and other social support programs are under attack—not least because they serve minorities. The “Us and Them” narrative Trump—and his predecessors—have employed regarding “entitlements,” education, and immigration show that a growing faction of “us” define “American” by an ever-decreasing number of demographic traits: white, Christian, suburban or rural, in a hetero-nuclear family, gainfully employed, gun owning, healthy. The number of “us” fitting this profile is vastly smaller than we imagine or publicly acknowledge. Yet, a nation can dream. So the American dream has been winnowed to the sole task of maintaining systemic white supremacy in our politics and our government. When Obamacare reasserted the government’s role in health care, efforts to redefine deserving Americans were reinvigorated. Even those of “us” who live in (blue) cities are getting pushed out of the national family. Throughout the campaign, Trump used the term “inner city” to dogwhistle to MAGA Americans his racial, economic, political and religious exclusions. Trump is no saint but his personal foibles are forgiven because he continues to pursue the religious right’s unforgiving agenda. The Trump administration and party are stacked with constituents who see poor health as a moral failing. Just last month, Betty Price, a Georgia State Representative and the wife of the former Secretary of Health and Human Services, Tom Price, felt comfortable enough to ask on videotape if quarantining people who are HIV positive was an option to address Atlanta’s high number of predominantly young, African American HIV patients. “It seems to me it’s almost frightening the number of people who are living that are potentially carriers, well they are carriers, with the potential to spread, whereas in the past they died more readily and then at that point they are not posing a risk,” she said. Our white Christian nation is under threat, so the narrative goes, from those brown, needy, gay drug users in the inner city. Price’s construction of Americanness is clear. She’s not asking how we care for ourselves and our public health, but how we protect “ourselves” from “them.” Yet, we should know from the past what happens when we let a nationalistic politics of purity and prejudice determine public health policy. Race clearly played a role in the 1980s, when the term “crack baby” was coined. Vann R. Newkirk II wrote in the Atlantic in July, “‘Crack baby’ brings to mind hopeless, damaged children with birth defects and intellectual disabilities who would inevitably grow into criminals… unthinking black mothers who’d knowingly exposed their children to the ravages of cocaine.” Blame the addict, science and our politicians told us. “The term made brutes out of people of color who were living through wave after wave of what were then the deadliest drug epidemics in history,” Newkirk writes. As On the Media’s Brooke Gladstone has noted, you can fix the date of the nation’s modern war on drugs to Nixon’s declaration in 1971, when he designated drug abuse as America’s enemy number one. The Nixon administration set the tone for future epidemics by using addiction to target and “disrupt” communities the administration saw as opponents. Today, with the opioid epidemic, we see a stark contrast to the racialized and sexualized reactions during the crack and AIDS epidemics. 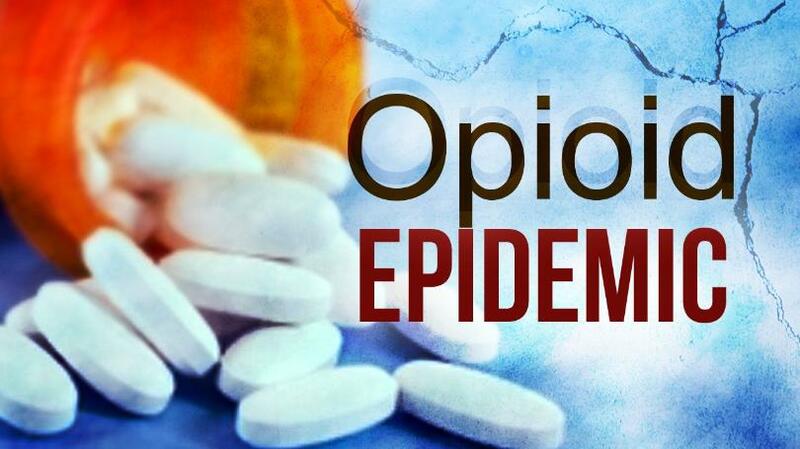 According to a 2015 Kaiser Family Foundation study, 27,000 of the 33,000 who died from opioid overdose were white. What’s different about today’s opioid epidemic is that, instead of blaming white people the way we blamed black people in the past, we’ve found ourselves a new devil: big Pharma. It took an epidemic striking the white Christian heartland for the dominant narrative to redirect blame and turn against, of all Republican-heralded things, profitable corporations. As the decade wore on, these organizations, which critics have characterized as front groups for the pharmaceutical industry, began pressuring health regulators to make pain “the fifth vital sign”—a number, measured on a subjective ten-point scale, to be asked and recorded at every doctor’s visit. As an internal strategy document put it, Purdue’s ambition was to “attach an emotional aspect to noncancer pain” so that doctors would feel pressure to “treat it more seriously and aggressively.” The company rebranded pain relief as a sacred right: a universal narcotic entitlement available not only to the terminally ill but to every American. I have no interest in defending the Sacklers or the pharmaceutical industry; but jeopardizing the lives and health of pain sufferers to do so is a dark and immoral path for journalists and politicians. Not least because tighter restrictions on Pharma and doctors won’t solve the problem. In fact it’s already making it worse, and not just for those who legitimately need pain relief. Now that prescription pain medications are becoming scarcer, some addicts are going straight to heroin. Addiction is no more the product of easy-access pills than national impurity is the product of easy-access women. The government’s crack down on prescription painkillers has dried up the surplus, but now doctors who fear the CDC’s strict new guidelines are cutting off patients with chronic pain. People are suffering. But we continue to turn a deaf ear to pain and suffering because our political system is still committed to the feeling of moral superiority that such judgment gives us. In September of last year I wrote about our nation’s already muted response to pain treatment, particularly in women. Suffering is a part of our national—and Christian—narrative: it makes us great, it teaches us lessons, brings us back to God and moral behavior. Which in turn should make our nation healthy, whole, and great again. Except it doesn’t. However little sympathy doctors and Pharma deserve, like Manchin and McCaskill, Kristof is barking up the wrong tree. Here’s how Maia Szalavitz, a neuroscience journalist and author of The Unbroken Brain: Why Addiction is a Learning Disorder and Why it Matters, described Pharma’s role in the opioid crisis to me in an email exchange last month: the epidemic was originally driven by the “diversion” of liberally prescribed pain medication. Studies show that “70 percent of those who misuse these drugs were getting them from friends, family, dealers.” Pain patients weren’t misusing their liberally prescribed pain medications, they were letting them get into other peoples’ hands. Think, perhaps, of a grandfather who gets 75 “oxys” after surgery and takes only 3 of them; the rest are left on a shelf where an experimental teenage grandchild could easily find them. 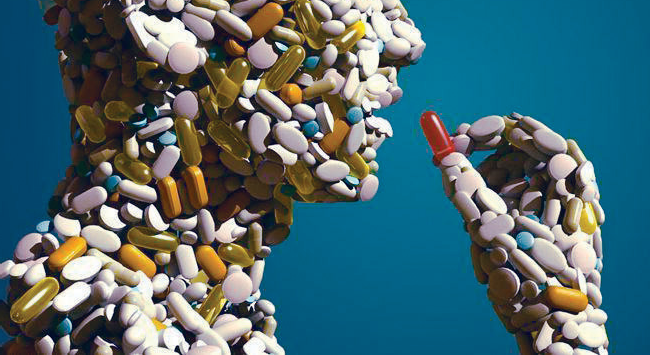 The problem isn’t the doctor, the grandfather, anyone’s morals, the pills, or even the company producing and advertising them: the problem is our willful misunderstanding and mistreatment of addiction. “Most ‘addicted pain patients’ are people with a past or current history of addiction,” Szalavitz told me, “many of whom deliberately sought doctors for the purpose of getting drugs; others got re-addicted after having alcohol or other drug problems in their youth.” Szalavitz added that “90 percent of all addictions start with recreational use in the teens or early 20s.” Addiction will find a drug, whether its alcohol, crack, or opioids. It is a medical condition, one that requires and deserves medical treatment, not punishment, and certainly not self-righteous promises of redemption. Addiction is the cause of opioid use, not personal character, not the drug, and not the drug maker or prescriber. “The real roots of addiction lie in child trauma, mental illness and despair and we’ve done nothing about them,” Maia Szalavitz told me. We’ve been getting this wrong for centuries. American history is rife with “drug panics,” from opium in the 1700s to alcohol in the early 1900s, from coke in the 1970s and crack in the late 80s to methamphetamines in the early aughts. From the beginning, the way that users have been viewed has affected drug regulation and treatment, often with disastrous results. Those disastrous results are continued addiction epidemics. The drugs are ever changing, but the problem, as we address it, sadly remains the same: an issue of misplaced morality. We’d rather blame anything other than our own failure to address the causes of addiction. So we give moral jurisdiction to law enforcement, to drug makers, to Donald Trump, to God. Yet, if addiction is a disease, why don’t we treat it as we do other diseases? With science rather than spiritualized self-help? As Szalavitz wrote at Huffington Post in March, there are two reasons: the existing mobilization of law enforcement against use and possession; and the prevalence of a spiritual and moral failing model of treatment and recovery. These are ineffectual approaches, yet we have no better solutions because most of the population still doesn’t see addiction as a medical problem. And thus addiction—wave after wave of heartbreaking drug epidemics—continues. So, again we ask, just as Hall in Henricho County, Virginia, asked “Where is recovery at in all this?” Nowhere. In past drug epidemic iterations, the white, Christian, hetero powers-that-be had an easier time blaming the vicitms – the evils were starker thanks to differences in race and class. Today we’ve only managed to find a new and false cause. As long as we continue in this way, so too will addiction, regardless of the drug du jour or the race of the person addicted. Incarceration, it’s worth noting here, is not a method of treating addiction. Past “The Patient Body” columns can be found here. Ann Neumann is author of The Good Death: An Exploration of Dying in America (Beacon, 2016) and a visiting scholar at The Center for Religion and Media, NYU. Published with support from the Henry R. Luce Initiative on Religion in International Affairs. Wonderful piece. It’s what I’ve been saying, albeit far less eloquently, for years. Addiction is an illness. And it is an illness that spreads like wildfire in environments of hopelessness and despair. When The American Dream was alive and well, those conditions mostly affected non whites and the poor. Today they are afflicting a growing number of white Americans who find themselves hopelessly stuck in low-paying jobs or chronically unemployed thanks to the economic policies of the last 30 years. The Recession never ended for those folks. And now record numbers of them are dying from drug overdoses, suicide and alcohol-induced liver disease. 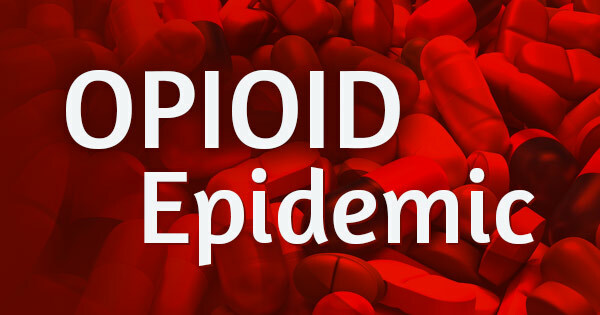 What about the need to protect access to a prescribed opioid in a minimum dosage to a patient with severe pain not addressable by other meds/practices— a patient with a 50-year record of NO DRUG MISUSE? THOUGHT there was some hope for these patients when docs started getting serious about actually relieving pain instead of ignoring it or vilifying the patient. first the truth about the opioid crisis is not being told,the lord said is truth,i’m what i call an real chronic pain patient,my opioid pain medication in 2017 no longer work for my severe pain because they had medicine’s added to them to stop drug abuse,this is not right,not because it’s stopping drug abuse,but this same medicine stop’s the opioid rx medicine from working on my great pain,they say no big deal your disabled,it is because it leave me in a state of severe pain i can’t even live my live as an disabled person,the opioid crisis reports put’s real chronic pain patient’s in the same boat as real drug addicts,this is wrong,if someone take’s time to look into these report’s most the opioid death’s are from drug addict’s getting opioids family,friends or from street dealer’s,because of these report’s which aren’t telling the truth pain doctor have been bulled dog and shamed based or scared to under medicate their pain patient’s,to an point that the pain doctor’s are telling patient’s they can’t up their mg’ or amount’s of rx pain medication i know in my home state alone 100 real chronic pain patient’s who have killed themself because their severe great pain got too much for their bodies to handle,and family and friend’s know a cupple year ago with enough rx pain medication these patient’s were living usefull family life’s,they are mad,hurt and can’t believe america it’s only country would leave real chronic pain patient’s to suffer so greatly that kill themself was only answer,you might say they were crazy,well hold your hand over a fire,now just think if you hurt like that every second of your life and the only medicine that would help they won’t give to you,or if they do it’s in so low of an dose it doesn’t work,and they put another medicinein it to keep the medicine that would help from working,you know what this is evil sounds like something satan would do i pray lord that you stop this evil that torturing and killing real chronic pain patients,that if those who are doing this if they are blind that you open their eyes to what their doing so your will can be done in this,amen,amen. I am in my sixties and have been in pain for most of my life. I have had severe allergies, 8 female type surgeries, and 4 back surgeries, and a few others. At the last back surgery, ( a new doctor and new hospital) they took out everything, all 4 disc’s that had been replaced. I had gotten hepatitus (they said not from them of course). They said I needed another operation to replace them. I told them no thanks. They said I wouldn’t be able to walk for long if at all if I didn’t get the surgery, and would be in terrible pain. But I do walk, and every movement gives me pain. I am an invalid 80% of the time, flat on my back in bed. can be trusted to monitor my healthcare and medicines. I am stuck in bed most of the time because I cannot make anymovements without hurting a lot. They have determined that I take more medicine than is average, and therefore they told my doctor I needed to be cut back. A rational person would expect that as chronic pain goes on and on the pain meds would increase as time wore on. None of them read my very large file, they did not read how in 2000 I changed doctors because she wanted to put me on a morphine pump. I told the new doctor that I only wanted enough medicine so I could function. I wanted to go back to work. I know that to take enough medicine to get rid of all my pain, would no doubt kill me, but, I needed to tamp it down so I could function. I can no longer function. I can not do my own housework. I never thought I would complain about that! I used to run the office of my husband’s company, he ran the crews, I ran everything else. I can no longer do that, I can no longer go to a lot of family functions. I cannot run errands. All due to pain. My back looks like a road map. Did you know that 3 years ago I was told that all pain patients would now have to be urine tested or they would not be given their medicine. I am now treated like a criminal on parole. They say it is to make sure we don’t sell our drugs. But, they don’t just test for they drugs I take, they test for everything they can think of. How I found this out was one time I got called to task because I had taken one of my husband’s pain medications. One day I had felt pretty decent and went with my husband to run errands cause he told me how much he missed me doing things with him. We were out longer than I planned, and my back let me know that “it” wanted my full attention. My husband’s pain meds are not triplicate form like mine are, they are much much weaker than mine, but I didn’t have my medicine with me. So,he gave me some of his. I was informed at what a bad girl I was, I guess I should be grateful I wasn’t taken to the drug czar’s office for the aspirin I took last month. I would like my rights back. Please.